As it turns out, people are still in all workplaces, they are still behaving like humans, they still come with all the positive and negative characteristics of humans and they still occasionally make mistakes in judgement. The fact is we still have people in the workplace and therefore we must continue to understand why people behave the way they do and what we need to do to influence that behaviour to create a safer workplace. I will give the benefit of the doubt to those who made the statements above that they may have had a bad experience with a slickly marketed BBS program or a BBS program that claimed it would cure every safety issue. It would be easy to become cynical after spending a lot of money and resources on a product that didn’t meet the claims of the salesperson. Therefore, I will make a clear distinction between a BBS “program” and the behavioural “approaches” to safety. The behavioural approaches are those that help us understand human behaviour and how it relates to the safety of our workplaces. These approaches are the fundamental principles on which the “people” part of safety must be built. The “programs” are simply the collection of some of these principles into a saleable package. Behavioural approaches must include three key components: knowledge, skill and desire. Knowledge is the information a worker needs about the workplace, task, tools, equipment, rules, procedures and hazards. This is usually provided in the classroom, meeting room, orientation and reference material and gives the worker what she needs to know about the job. This is book smarts. Knowledge can be quantified, written down and measured through a written or computer-based competency test. Consider knowledge with respect to the operation of a vehicle. You need to know the rules of the road. You need to know the capabilities of the vehicle and the maintenance requirements. You need to know the responsibilities of being a license-holder and you need to know where you are going. Skill refers to the worker’s ability to actually do the tasks. It includes the physical ability to use a tool and the dexterity to use the controls on a piece of equipment. It’s the way in which he executes multiple related tasks and the way she processes incoming knowledge into an action. Skill is developed through hands-on practice in the workplace under the watchful eye of a coach or mentor. Skill is assessed by observing a worker’s ability to do the task to a pre-determined standard. This is a bit more difficult than the knowledge assessment but is fundamental in understanding why a worker behaves the way he does in the workplace. Using our driving example, skill includes how far to depress the accelerator to gain speed, how hard to press on the brake to come to a controlled stop, how to get the car in and out of a parking space and the general “feel” of how the vehicle behaves on roads that are dry, wet or snow covered. Skill takes time and experiential learning. Knowledge and skill together can be referred to as competency: the ability to do a task to a predetermined standard. 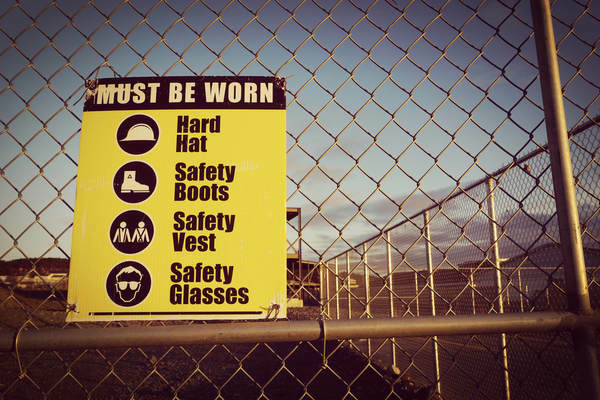 A worker without the knowledge and skill to do a task will demonstrate at-risk or unsafe behaviour in your workplace. It is the duty of the employer and supervisor to provide the knowledge and skill so that a worker can work safely. Desire is the motivation for doing a task a certain way. Desire includes willingness, understanding, eagerness, complacency, challenges and response to direction, authority and peers. Desire is all about “why” we do the task, whereas, knowledge and skill are about “how” to do the task. Unlike knowledge and skill, desire is more difficult to assess and address and thus becomes the greatest challenge within the realm of the behavioural approaches to safety. Why do workers do what they do? This is the essence of the behavioural approaches to safety. Aubrey Daniels, a forefather of the behavioural approaches, summed it up with the statement: “People do what they do because of what happens to them when they do it,” meaning, how supervisors and managers respond to a worker’s way of doing the work will either reinforce or discourage the behaviour. Dan Petersen, another BBS guru, suggested that people do what they do because of the management systems they work within, reinforcing that the structure put in place by management will affect the desire of the worker. The recent examination of risk tolerance in safety suggests that there are 10 influencing factors for risk acceptance that also need to be understood when it comes to the desire component. The fact that the behaviours of the workers are the consequences of how supervisors act, the results of the systems that management put in place and the personal decisions based on the risk tolerance factors, it is essential for the behavioural approaches to be a part of a comprehensive safety system. As long as we have people in the workplace, the behavioural approaches to safety are fundamental. Beware of those sensational statements about the demise of the behavioural approaches to safety and don’t allow these to be the guiding factor in your safety strategy. Educate yourself on the intricacies of human behaviours in safety from an institution (university) rather than from the supplier of a BBS program, so that you get the full understanding of this aspect of your safety system.